Jon Laansma Ph.D., University of Aberdeen, is Associate Professor of Ancient Languages and New Testament at Wheaton College in Wheaton, Illinois. He is the author of several articles and of “I Will Give You Rest”: The “Rest” Motif in the New Testament with Special Reference to Matthew 11 and Hebrews 3-4. 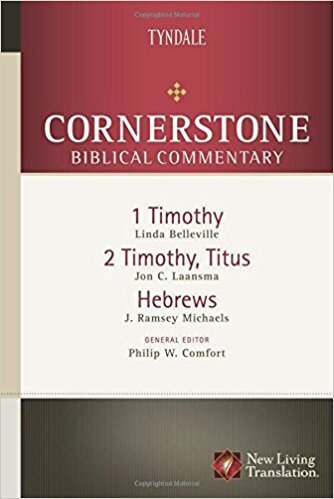 He contributed the introductions and notes for 1–2 Timothy and Titus for the NLT Study Bible.